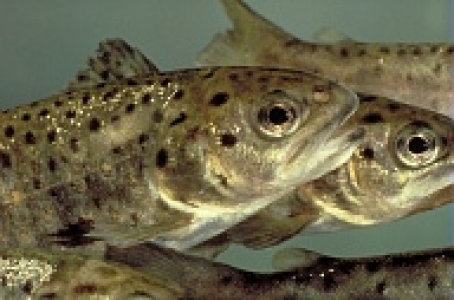 RA3 has as its objectives to provide the project partners with well characterized cell culture systems (primary, finite and established cell lines) as well as stem cells for their specific applications, to intensify the work with vector borne diseases and therefore to optimise the availability of sample material and diagnostic protocols for these diseases and to reinforce the cooperation in fish disease research by generating standardised samples of fish infected with exotic and non-exotic diseases. certain animal disease research institutes should produce defined tissue and serum samples from animals infected with the most threatening diseases in order to enable a rapid development and distribution of diagnostic and therapeutic tools, should the respective disease be detected in Europe. Given today’s threats to the present balance of spread between aquatic or terrestrial species and ‘their’ disease agents, mostly represented by the immense travel activities of humans and animals, as well as the movement of endemic zones for both disease vectors and disease agents, this topic is more important than ever before in order to provide a minimum safety of the actual human and animal health situation. In order to offer optimal tools to diagnosticians as well as researchers for their work, the aim of this workpackage is to produce and present standardized collections of cell culture systems that are essential for the propagation of many disease agents, of reference virus and bacterial strains, and of tissue and body fluid samples from animals naturally or experimentally infected with certain agents. Only if such standardized tools are made available to the research community, a rapid progress in the characterization of so far unknown or hardly known disease agents can be achieved. Furthermore, an effective collaboration of European institutes working in related fields is only possible if the applied methodology and tools are comparable, if not identical. Cell culture allows knowledge to be gained on cell biology in areas of genetics, proteomics and associated with biological functions involved in physiological and pathological conditions. This knowledge and the efficiency with which cells may be cultured in specialized laboratories will yield tremendous advances in many fields. Biochemical markers can be used to determine define cell types and assay for specialized functions that are relevant for in vivo functions. Morphological features and nucleic acid markers can also be used to characterise the cells.